Community Site Tours of our operations near Narrabri are held regularly. 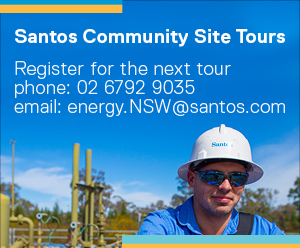 Those interested in attending our site tour can obtain more information and register by contacting 02 6792 9035 or email Energy.NSW@santos.com. 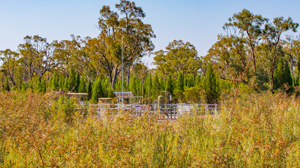 We've worked successfully with hundreds of landholders for decades. We only drill with the agreement of the landholder. It's a principle we've kept and have promised to uphold. Q : How will you minimise the impact on agricultural land? Q : How will the north-west region benefit from the Narrabri Gas Project? Q : How do you protect the aquifers when drilling?